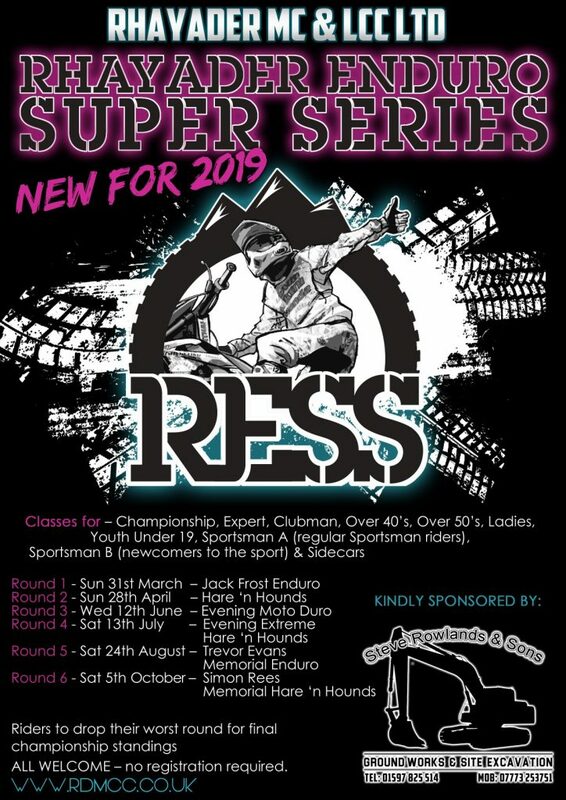 Rhayader MC are bringing its riders a new & exciting series in 2019! This will be called the Rhayader Enduro Super Series (RESS). 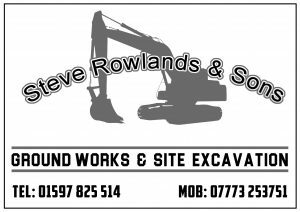 The series has been kindly sponsored by local Groundworks, Utilities & Plant Hire firm Steve Rowlands & Sons, which will enable the club to have awards for the top 6 overall in the championship with prize money on offer in the Championship class. There are classes for – Championship, Expert, Clubman, Over 40’s, Over 50’s, Ladies, Youth 15-17, Sportsman A (regular Sportsman riders) & Sportsman B (newcomers to the sport) plus Sidecars (except at rounds 1 & 4). Riders will be able to “drop a round” & its FREE to register!